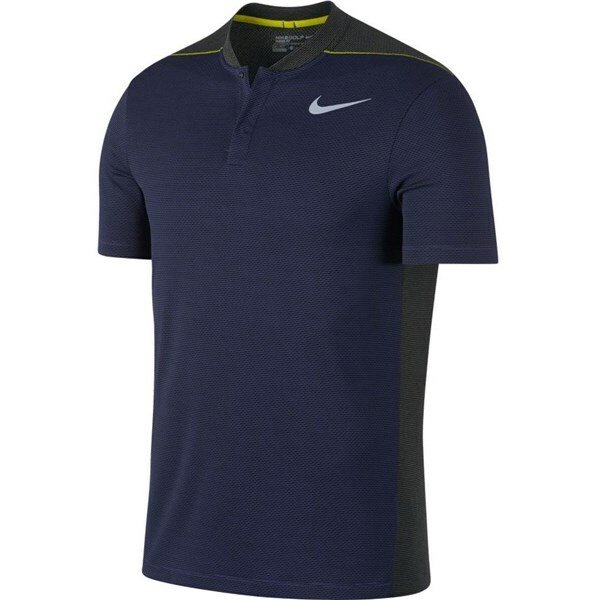 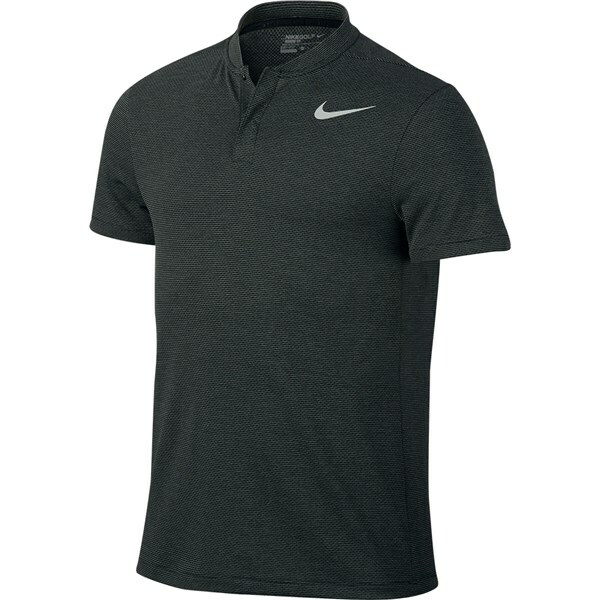 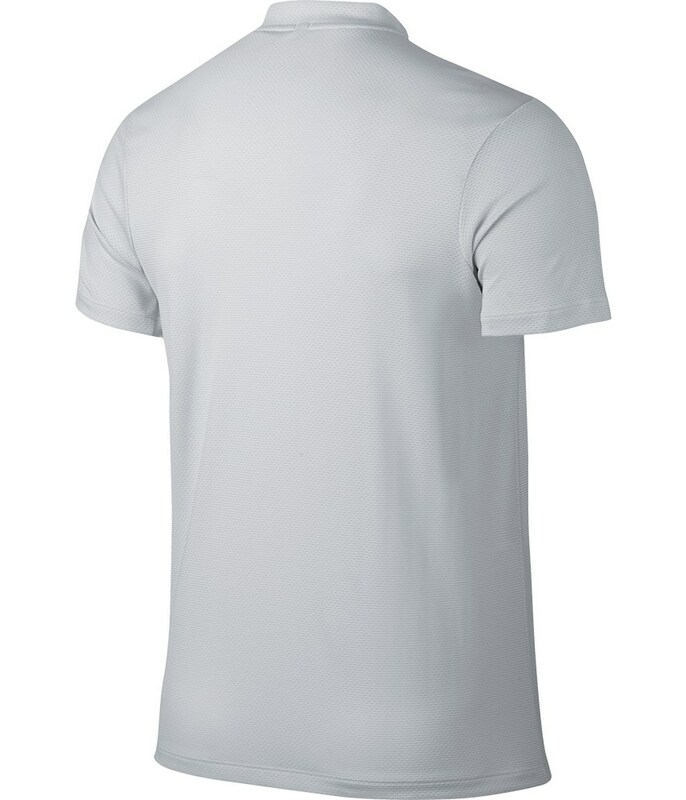 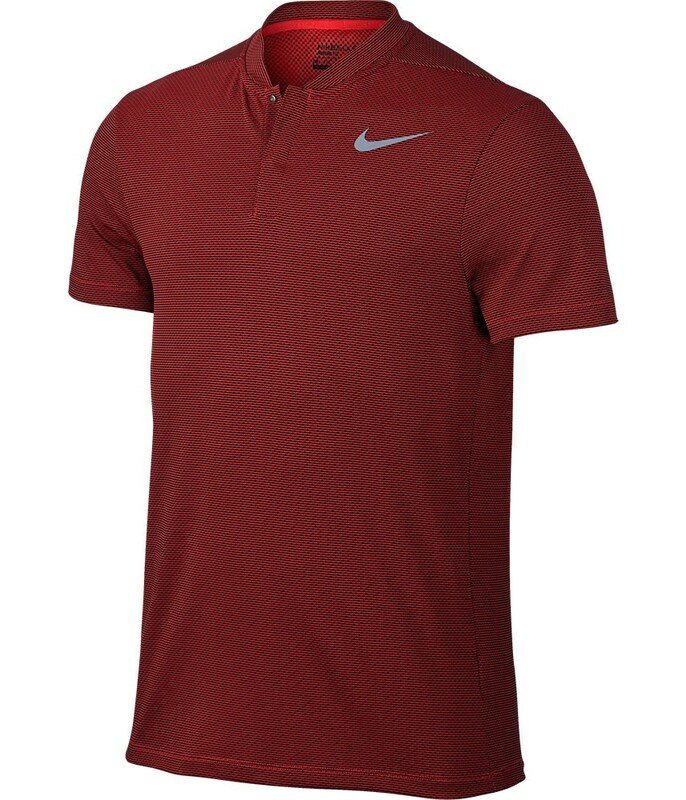 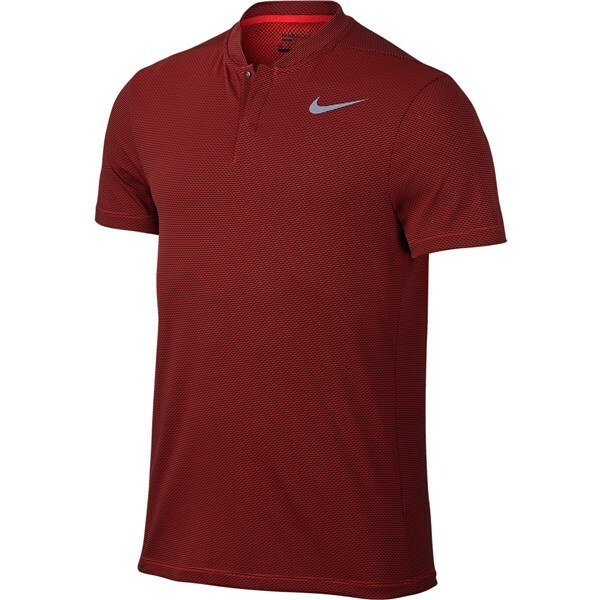 The Nike MM Fly Aeroreact Blade polo shirt features a stylish modern, athletic fit with the Swoosh visible on the upper left chest. Adaptive fibres and a sweat-wicking technology combine in the Aeroreact Blade polo shirt to produce a super comfortable performance fabric that will enhance your game. 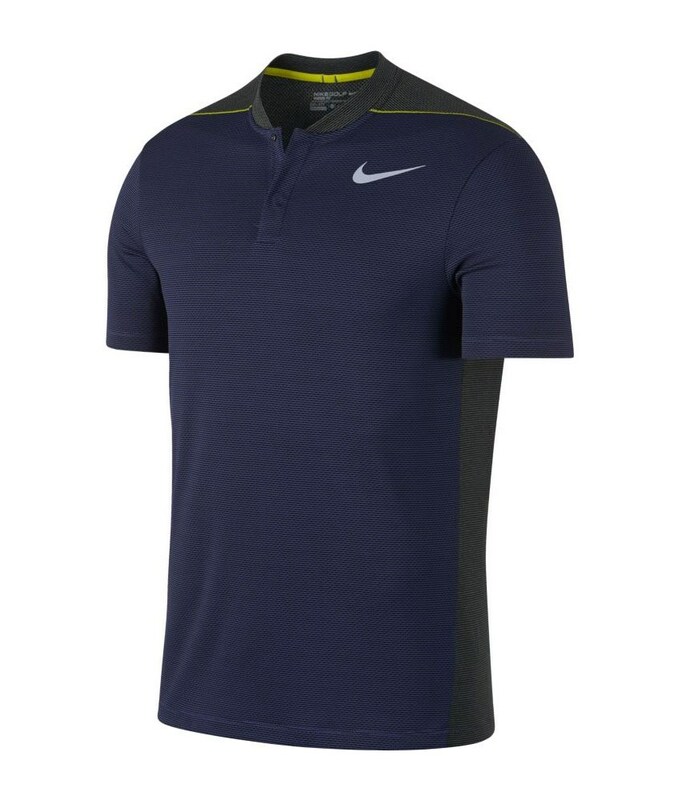 Aeroreact technology allows the fibres to open to increase breathability and lock-in when you need extra warmth. 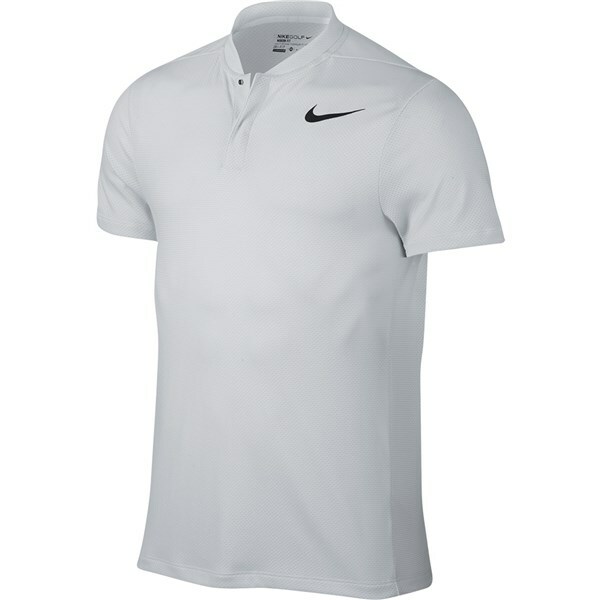 Nike’s Dri-FIT technology will quickly ensure that excess sweat is wicked away and evaporated so you stay drier and more comfortable. 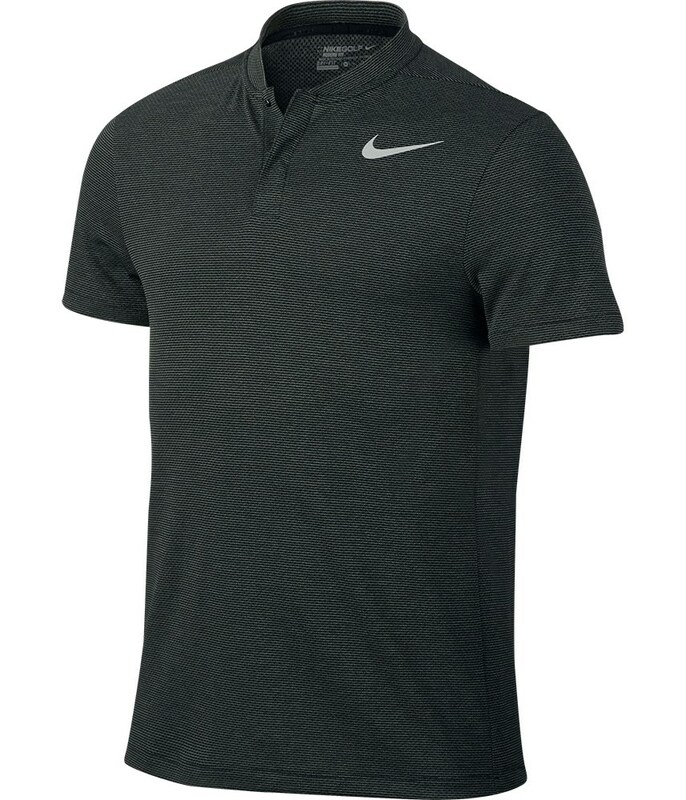 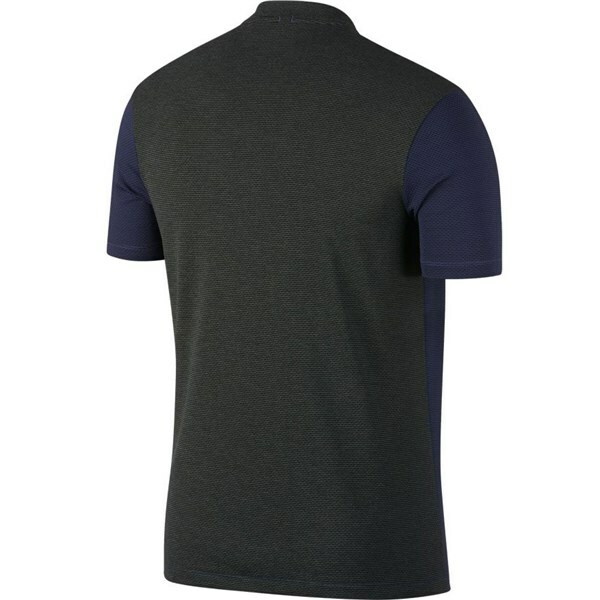 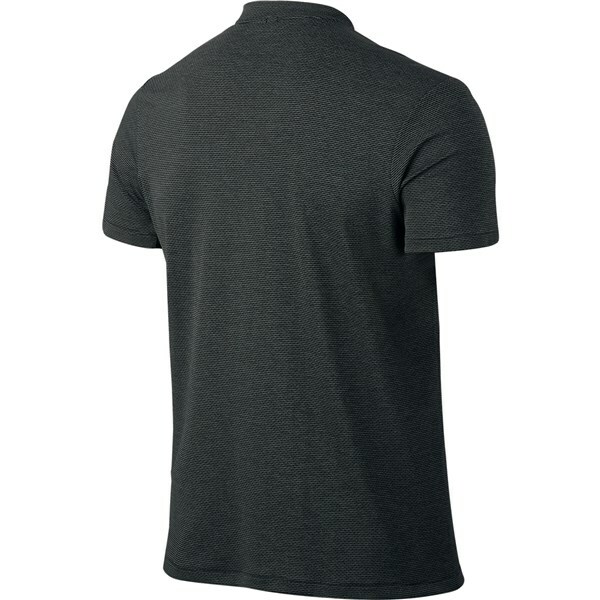 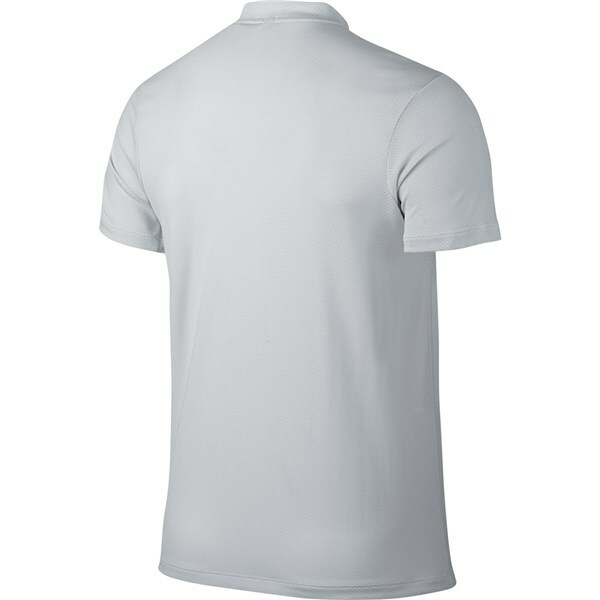 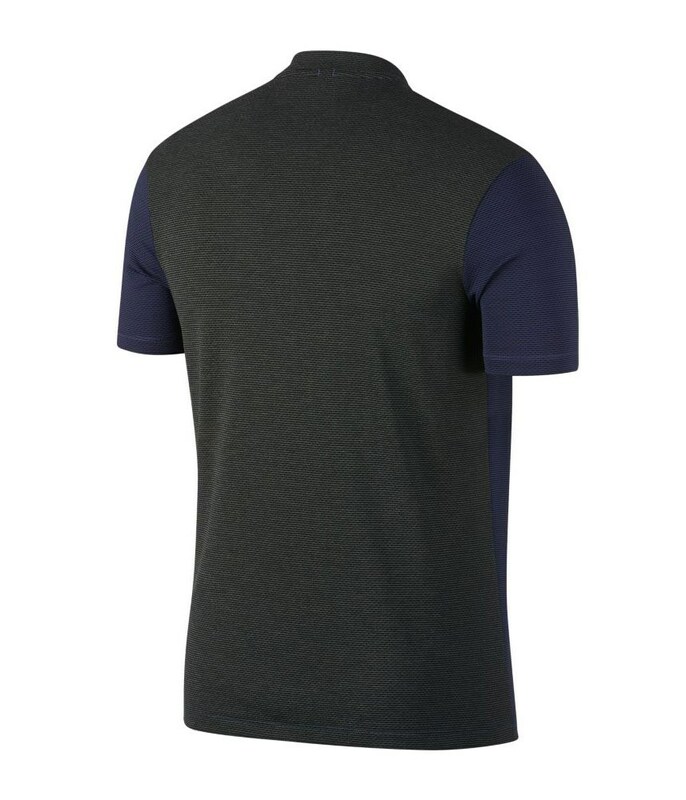 To complete the athletic look this polo shirt features a hidden 2-snap placket and the ultra-modern blade collar design. 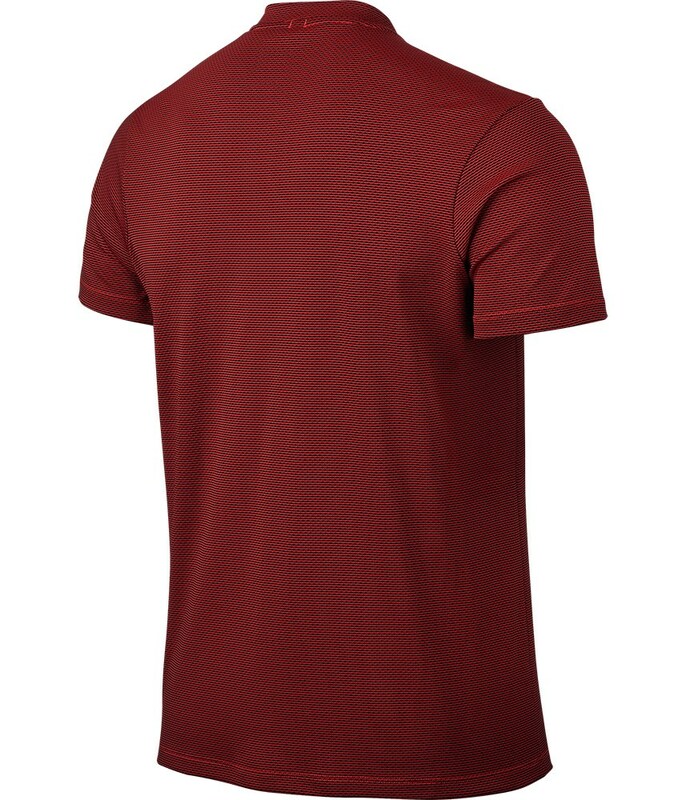 Modern fit is designed to contour the body without inhibiting motion. 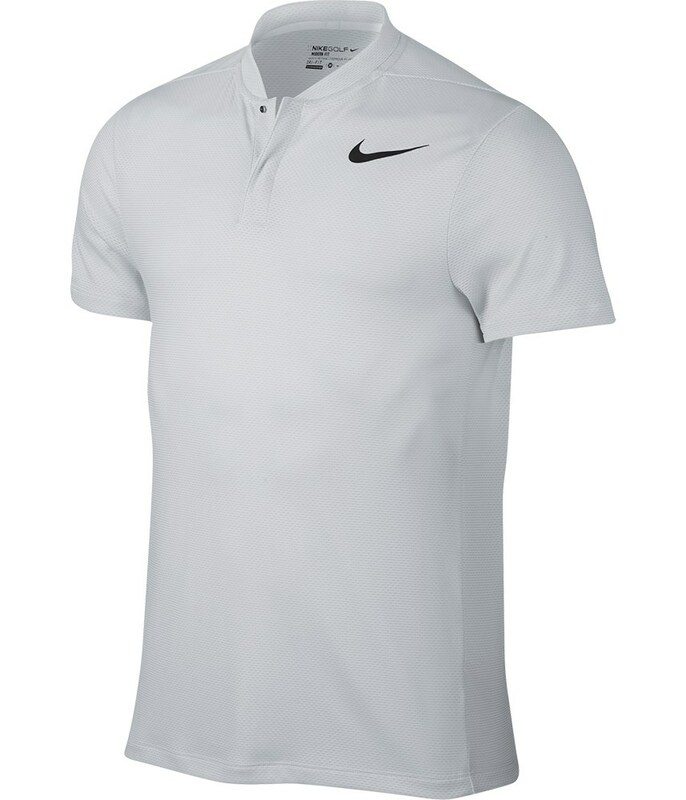 Hidden 2-snap placket lets you adjust your fit. 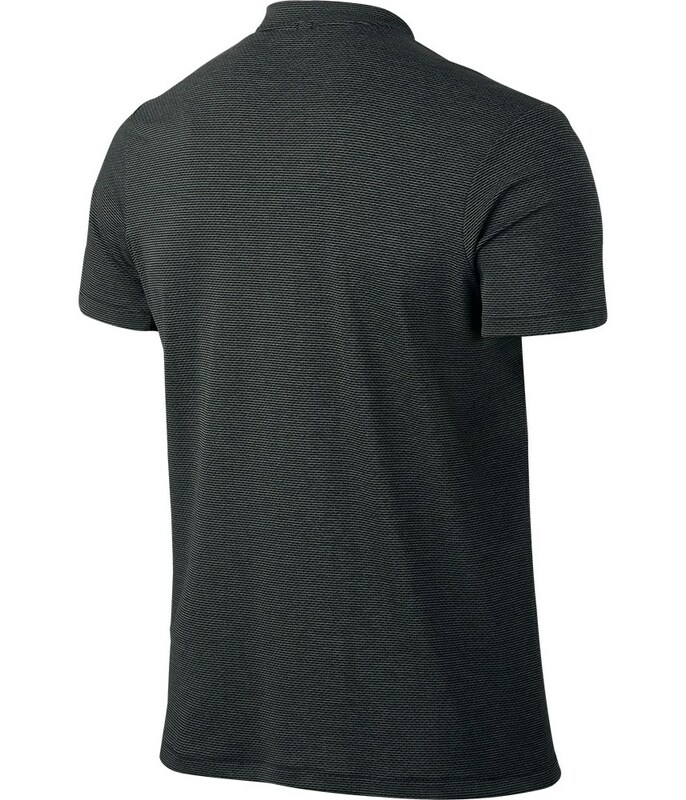 Back neck tape slides smoothly across your skin.